KITCHEN EXPERIMENT: TUNA PESTO PASTA WITH MUSHROOMS - I Blog, Therefore I Am. 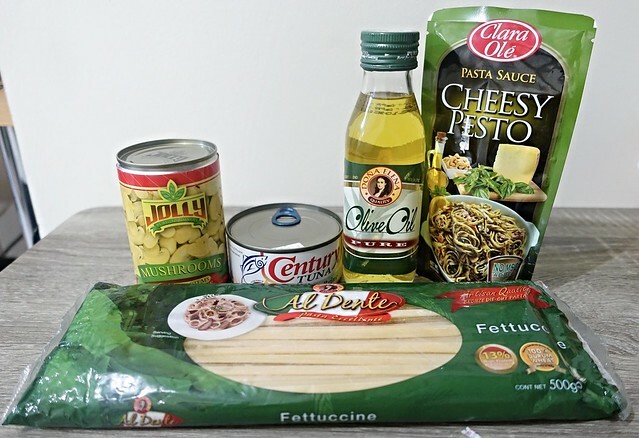 I was about to cook some Batangas Longganisa earlier when I chanced upon some ingredients in our pantry which I can "innovate" for a healthier pasta meal. Witt skipped dinner so it was just me this evening. I haven't been cooking lately so it's a good time to go back and get my groove back. I used to cook Cheesy Tuna Pesto a lot but I lacked the ingredients for it tonight so I got creative with what we have in our kitchen and was able to came up with a new pasta recipe. I actually used Dona Elena's Spaghetti but I was already cooking the noodles when I took this photo. It's very easy to cook this recipe. It would only take less than 30 minutes to prepare and cook everything. This is ideal for those busy weekday nights when you just have to prepare something quick yet filling. 1. Cook the pasta based on package instructions. I boil them for 13 mins. using induction stove. Set aside the pasta after cooking. 2. Saute garlic in Dona Elena Olive Oil then add the tuna. I included the tuna oil as well for added flavor. 3. Add Jolly Mushrooms and cook and saute for a few minutes. Add salt and pepper. 4. 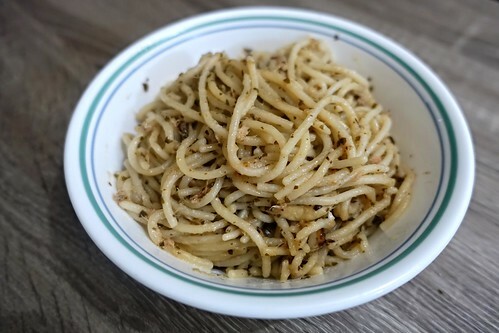 Toss the cooked pasta in the pan and add the pesto pasta sauce. Blend all ingredients together. Make sure that you put just the right amount of pasta based on the quantity of your ingredients. I am not so sure about the cost of the meal since I got all my ingredients in our cupboard. Php 200 is my guesstimate. This recipe is good for busy wives like me or moms who need to whip instant meals for their kiddos. Yay! Can't wait for Dona Elena's pasta sauces!